Okay everyone, Father's Day is on the horizon (Sunday, June 17th). 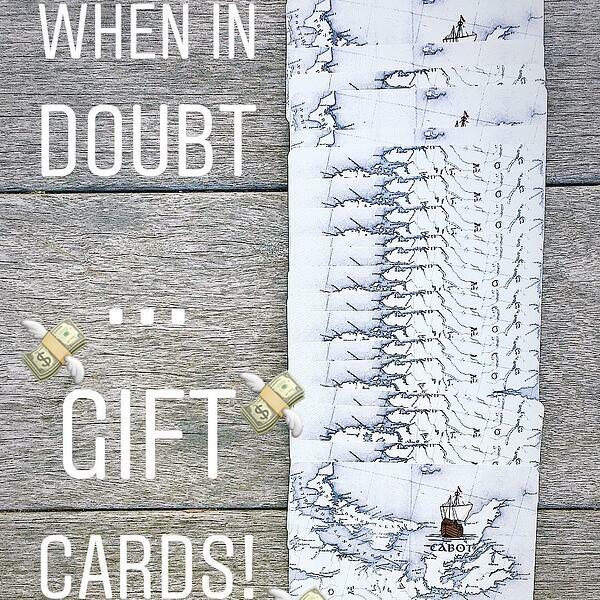 We know coming up with gift ideas and choosing the right gift can be tough. 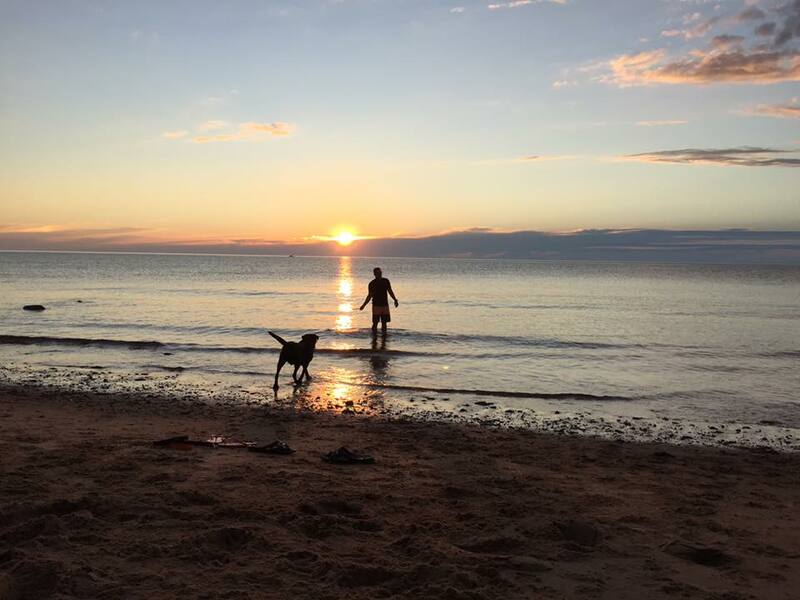 How do you repay the man that taught you so much? 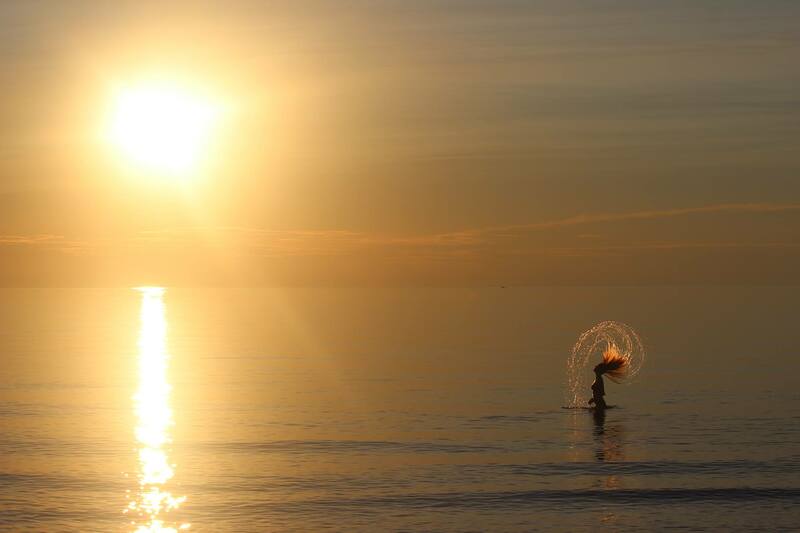 How do you show your appreciation? 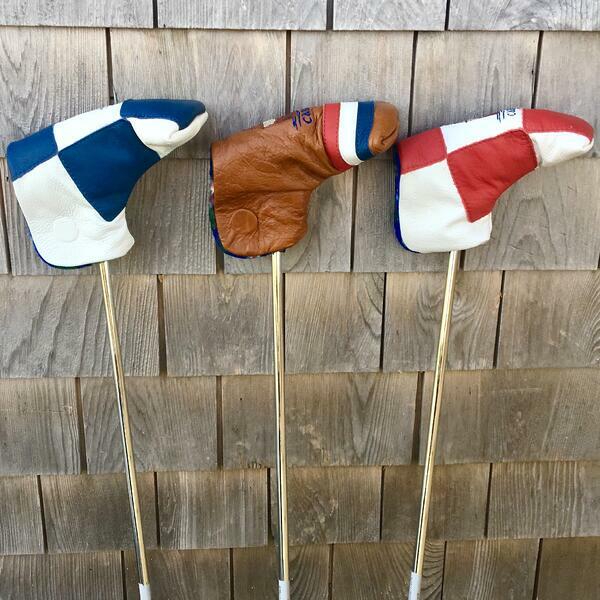 Luckily, we have gifts-galore for the golf-loving Dad in your life! Check out the list below for a list of our most popular pro-shop offerings. The best part? 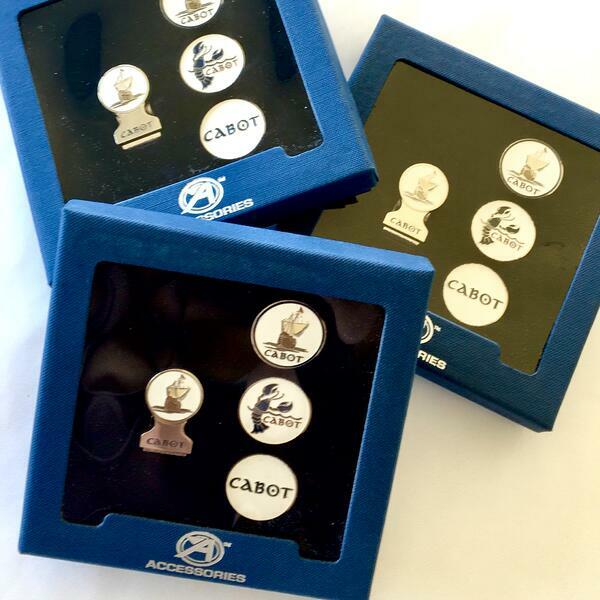 They can all be purchased on our online shop! Handcrafted in Nova Scotia. Starting at $95. 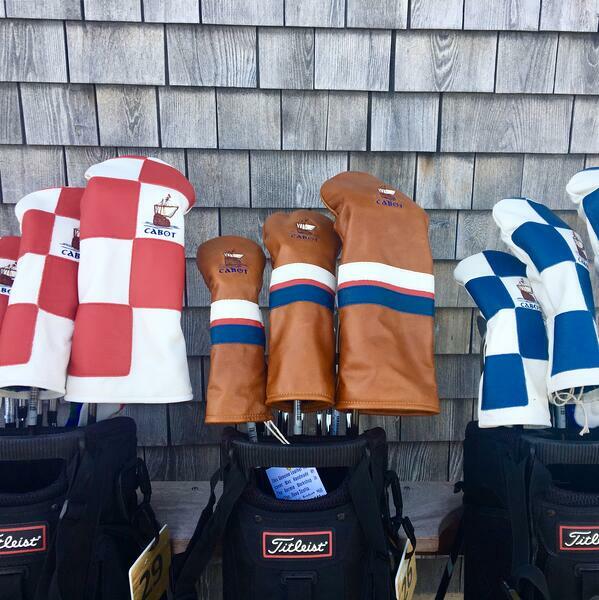 Handcrafted in Nova Scotia. Starting at $90. 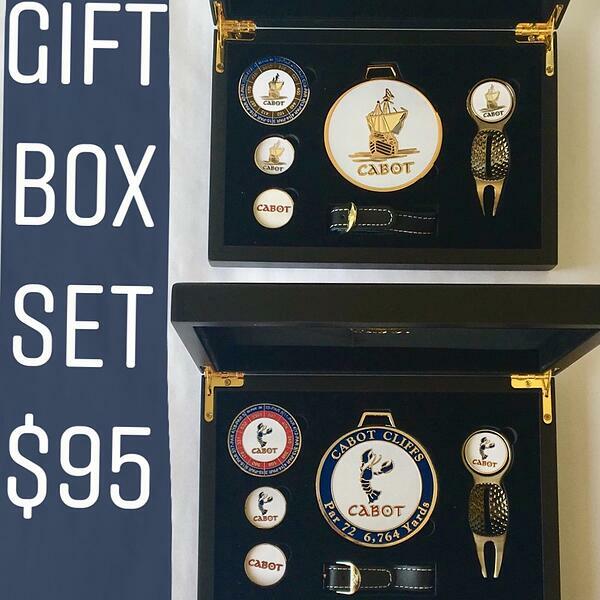 Cabot wooden gift box set includes Cabot bag tag, linebacker divot tool, duo yardage ball marker, and two Cabot ball markers. $95. 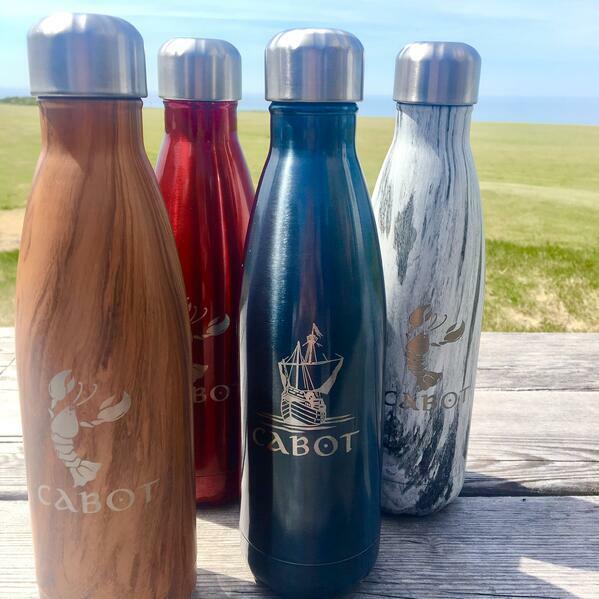 Stay hydrated on and off the course with these sleek S'well bottles featuring the Cabot Links or Cabot Cliffs logo. Keeps drinks cold for twenty-four hours, and hot drinks hot for twelve hours. Starting at $45. Hat clip + 3 ball Cabot Logo markers. $28. Practice in style at home or the office! $39. 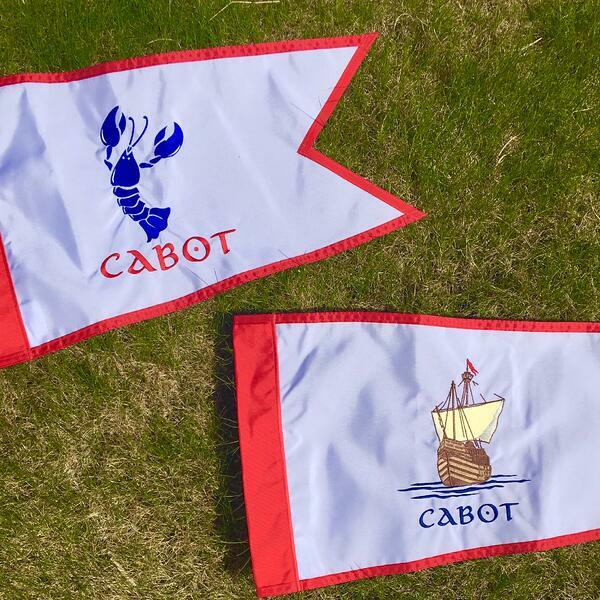 Our authentic pin flags can be seen on our 18 holes, or you could have one for your own backyard! 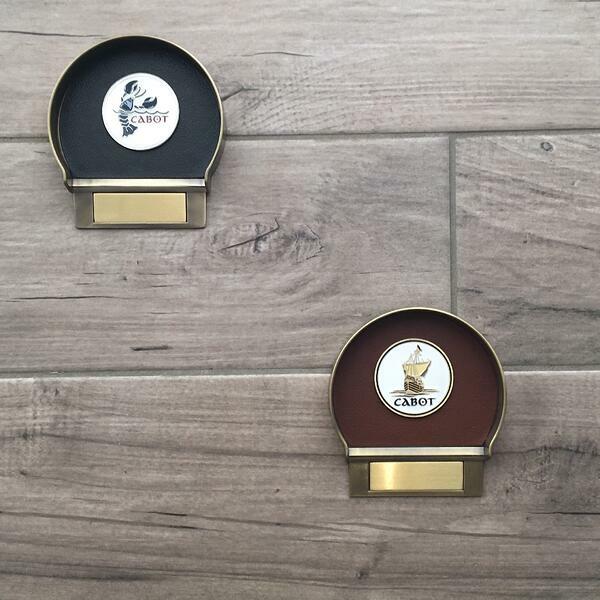 Gift cards provide the ultimate in flexibility as they never expire and can be used in our retail shop for golf or merchandise, in any of our restaurants, or for a night or two of luxury in the Cabot Lodge. Can't go wrong with this one!